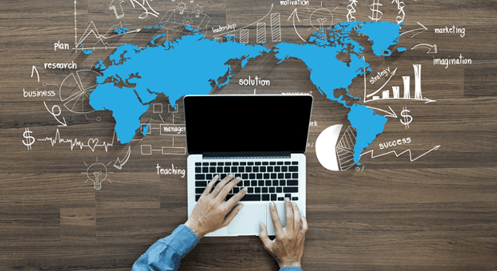 Why does geography matter for cloud based training labs? The short version is – because latency matters. A lot. Students today have extremely low tolerance for latency. Any content delivered less than super-fast is a major party pooper for user experience, and students are at risk of falling far, far away from retention. Display a message indicating the potential length of the wait for any action that will take longer than 2 seconds. We know the distance and complexity of the network path between student and lab application can have a significant impact on the speed-of-delivery of those billions of bytes that make up a typical training lab. And when low latency becomes a vital criterion for a positive, engaging user experience for students, hosting lab applications closer to users becomes a clear differentiator between cloud-based training labs providers. If the provider is truly dedicated to optimizing user experience, a well-scattered global infrastructure is a must. And so, Asian data centers for students in Asia, European centers for those in Europe – that’s the only way training labs could be configured to run on any data center and be quickly cloned on demand, to any other data center closer to the students. It’s really just like having a nearby cloud anywhere you need it. So make sure your cloud based training labs provider has data centers near your students, wherever they may be, or risk low retention rate. It’s mostly up to, well, geography. By the way, CloudShare now has two additional data centers in Asia and Europe, enabling students to enjoy a superior user experience from virtually anywhere in the world. Because we take user experience seriously. Want to talk to us about boosting your cloud based training lab performance?